It seems like this is the time of year when lots of people are having babies and there is always a need for a baby gift. 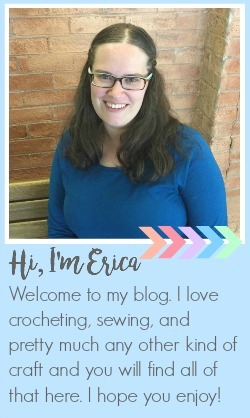 I love giving handmade gifts and on Craftaholics Anonymous I am sharing an easy handmade gift that can be completely personalized for the person you are giving it to. 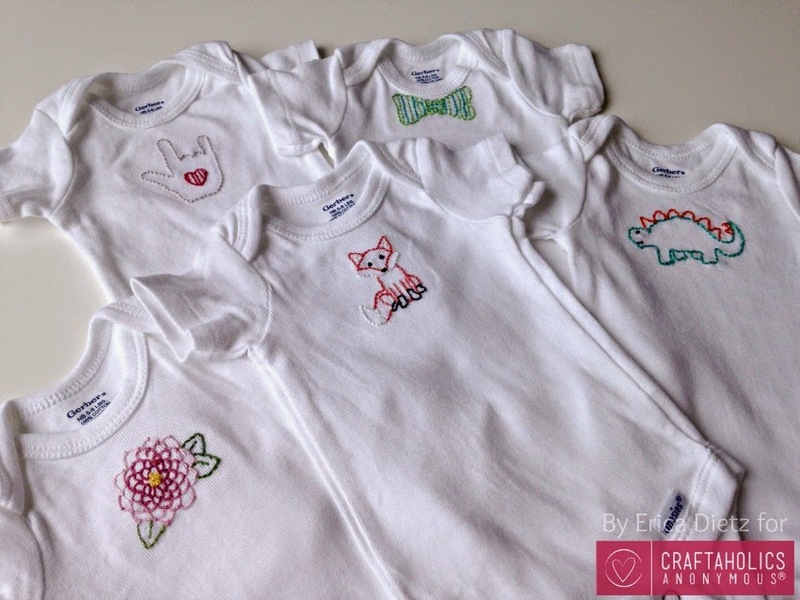 These embroidered baby onesies and really fun and easy to make. They don't take a lot of time to make and, although I share the patterns for the designs I made, you can put anything on them. Embroidering on knits can be a little challenging but I tried out a few different methods and came up with one that I think makes it really easy. Come check it out here. Some stitching friends of mine use these books as patterns for embroidery. They do imaginative things with different stitches/threads colours and I think its the best use of them I've seen. Still don't get it though.